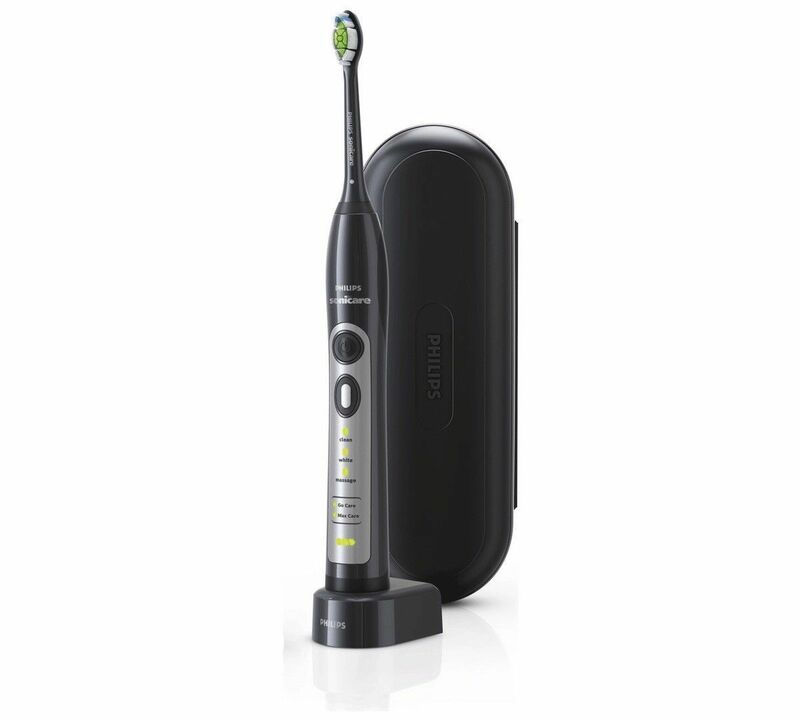 With 31,000 brush strokes per minute, the Philips Sonicare HX6911 Black Flexcare Toothbrush provides effective oral care every time you brush your teeth. With 5 different modes, you can select a cleaning routine that tailors to your needs. The DiamondClean brush head with diamond-shaped bristles makes exceptional cleaning and whiter teeth easy, in just one week when compared with a manual toothbrush. With 5 modes: Clean, Gum Care, Massage, Sensitive and Refresh, to ensure you can select the correct routine to meet your oral hygiene needs. 5 cleaning modes: sensitive, massage, . 1 brush head: diamondclean standard brush head.